Team Throw Super Jump (This one saves 2.5s to 3s). While on the ground, team-up with Dixie. 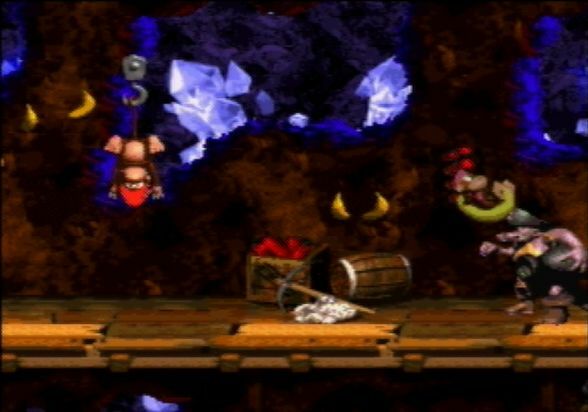 Jump up so that Diddy is right next to the hook. 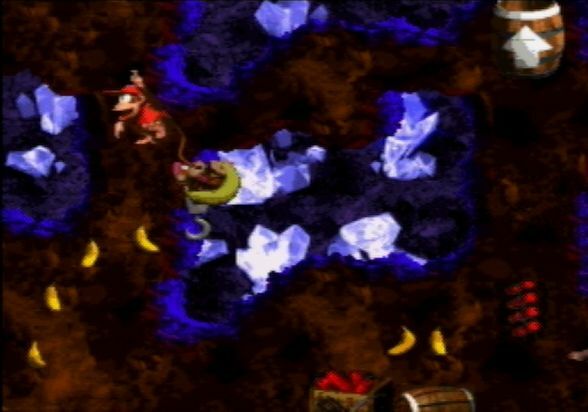 At the peak of Diddy's jump, throw Dixie. 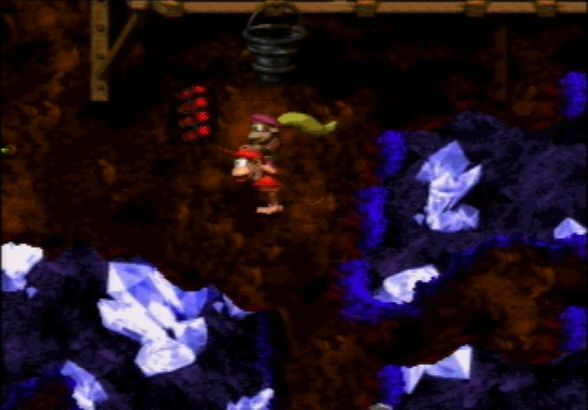 The recoil from the throw will place Diddy on the hook. 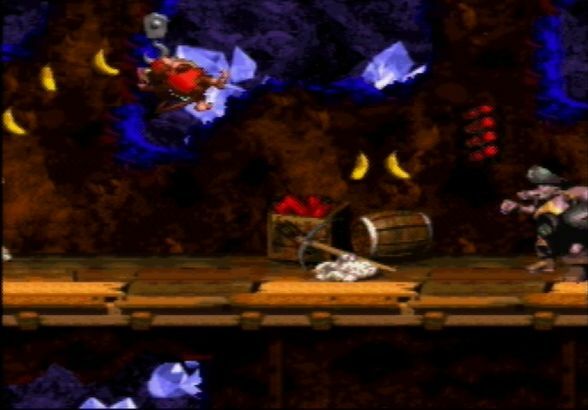 If Diddy doesn't land on the hook, then you were too far right and the recoil was not able to place Diddy onto the hook. Right when Dixie hits the Kannon and begins traveling back to Diddy, jump. 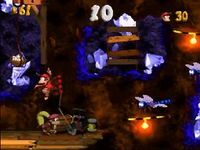 You want to immediately press and hold jump again before Dixie gets back to Diddy. The timing on these jumps is tight; if you were too slow in jumping, then Diddy will just fall. If you were too fast in jumping, you will not maximize your height, and not spawn the barrel. If you made it this high, then your jump is good on height. All that's required now is to make the warp barrel in one throw. If your height is not enough, you can try throwing a second time after Dixie comes back from hitting enemies on the platform above. If your height is really not enough, even the second throw will hit nothing. 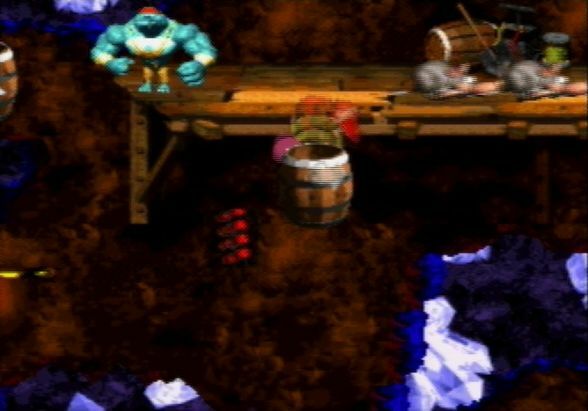 The way the camera pans affects the loading of the warp barrel, but not too much is known about that. This page was last edited on 3 March 2019, at 20:35.